Find out how a €100,000 mortgage over 20 years could yield a saving of up to €17,000 for you !!! If switching weigh up the cost of switching too soon.Check if there is a charge for switching, it may be best to wait until the charging period expires. We can work out the benefits versus the penalty and you can them make a decision. Don’t be afraid to fix a rate for 3 or 5 years. There are excellent rates in this category and it gives you certainty at a time where you anticipate increased living costs. Don’t automatically opt for the lowest rate. Many lending institutions provide introductory offers but it is wise to look at the overall cost over the term you need to look at the total cost over the period. A broker can help you navigate this minefield. They will offer impartial advice on the best mortgage for your needs. Look out for freebies, many mortgage lenders now offer incentives, the promise of cash back, discount on insurance and more. You need to check the cash back versus the cost of legal fees and other related fees. You could be better off taking the lower rate. Don’t take the easy option when your fixed rate expires and go with your existing lender. 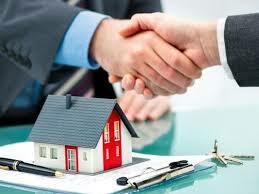 Your lender should offer you their best deal but that doesn’t mean it is the best deal. Moneyplus has access to the marketplace and can check this out.